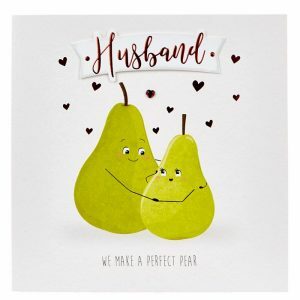 Valentine’s Day is a time for celebrating love and togetherness. Whether you plan on spending the day with that special someone, having a pal-entines party, or embracing self-love with a pamper session, Lion Walk has all you need. 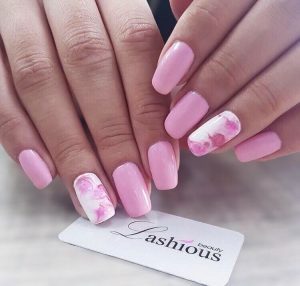 Let’s start with the skin deep beauty, whether you’re feeling in need of a new set of nails, an eyebrow shape up or glamorous lashes, pamper yourself at the lovely Lashious Beauty. 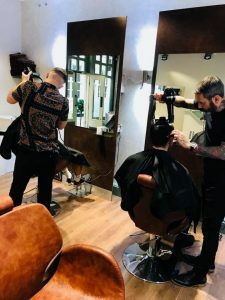 Fella’s, treat yourself to a stylish trim at Paul James Hairdressing; offering a wash, cut and finish from £15 to £24. Next, it’s time for the outfit! 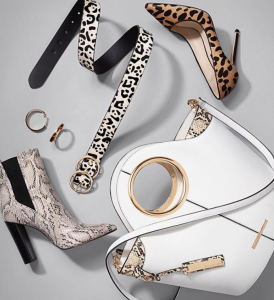 Whether you’re going casual or all-out glam, Lion Walk can take care of it. Sparkle into the evening with Minnie’s Boutique Purple Sparkle Dress (£15 in the SALE and also available in Gun Metal). If you’re leaning towards the dress down option, Minnies Boutique Roll Neck jumper dress in burnt orange or pink (£38) is the one for you, as seen on TOWIE star Billie Faiers. 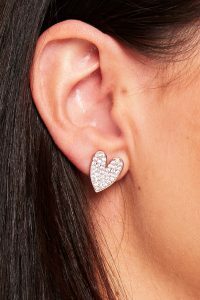 Give them your heart with these glamorous Diamante earrings from Minnie’s Boutique for £12. If you’re looking to suit up on the evening, Topman has over 50 styles to choose from. Bring your personality into the details, with a range of pocket squares and ties available. (From Left to Right £55, £55 and £35). If your plan is to charm, then go for a calm, cool and collected look. Topman has plenty of shirts to take your fancy, from box colours and stripes to eccentric patterns (from Left to Right £30, £38 and £30). 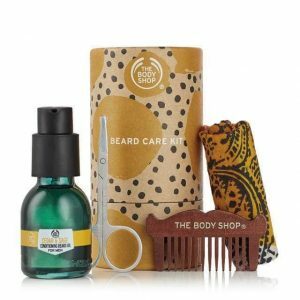 Smell scentsational with The Perfume Shop’s range of fragrances, with lots of attractive prices for him and her. 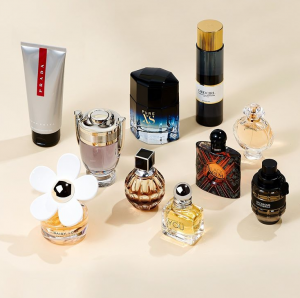 Good Girl Shower Gel from £29, Marc Jacobs Daisy Love from £42, Paco Rabanne Olympea from £46.50, Jimmy Choo by Jimmy Choo from £57, Armani Because It’s You from £48, Viktor Rolf Spice Bomb from £54, Paco Rabanne Pure XS from £48, Yves Saint Laurent Black Opium from £48, Prada Luna Rossa Carbon Gift Set from £50.50 and Paco Rabanne Invictus £66.50. 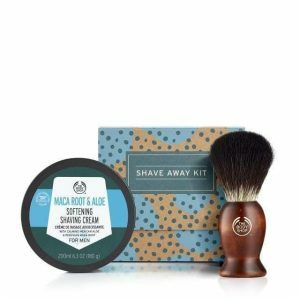 The Body Shop has a variety of skin loving gifts available from Strawberry Soft Treats (£8) and Matte Lips Liquid Trio (£15) to a Modern Gent’s Shaving Kit (£15), Beard Care Kit (£15) and Coconut Treats (£6). And finally, don’t forget the gifts! 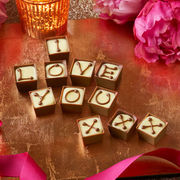 Thorntons has a range of chocolate treats available and if you’re feeling extra generous, you can personalise your present with the Alphabet Truffles, priced at £20 – £25. 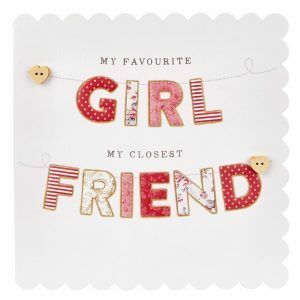 The Card Factory will help you say it best, with their comical, loving and outrageous card selection from 99p – £1.99. And there we have the perfect Valentine’s Day set up. We look forward to spreading the love with you!